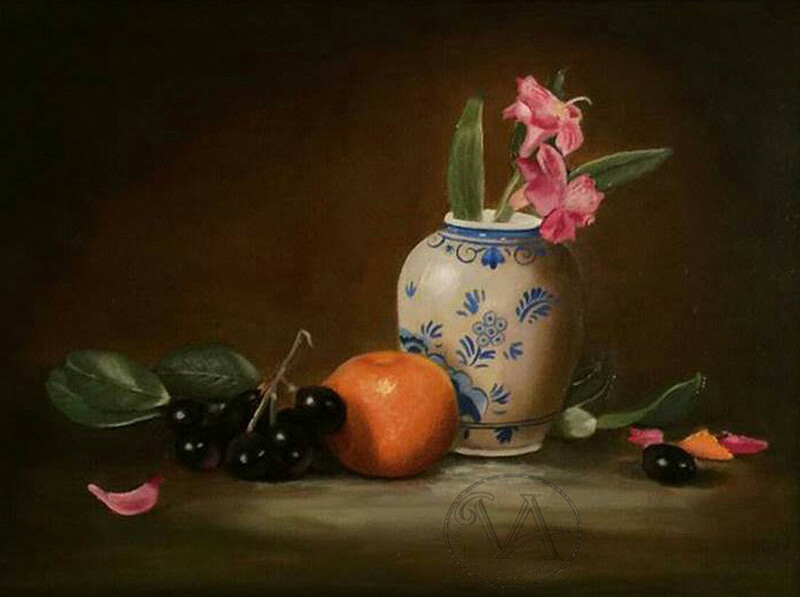 This still life was crafted in an Old Master's style with classic layout and background. The ultra-smooth texture was accomplished by painting on an artist's board rather then on canvas. Original size 9x12.